We've long heard of them at PasarBella, and opening their second branch at Wisma meant that we can finally get to try it without traveling so far! As we reached early at about 5.30pm, we managed to get seats almost immediately. 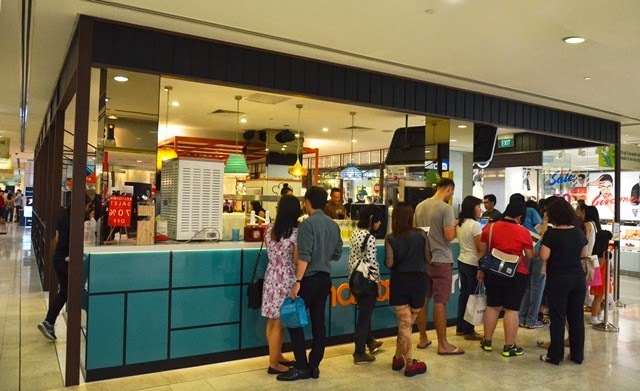 While queuing to place your orders, there'll be a staff asking for the number of pax and arranging for seats, asking for one person to 'chope' table once it's ready. 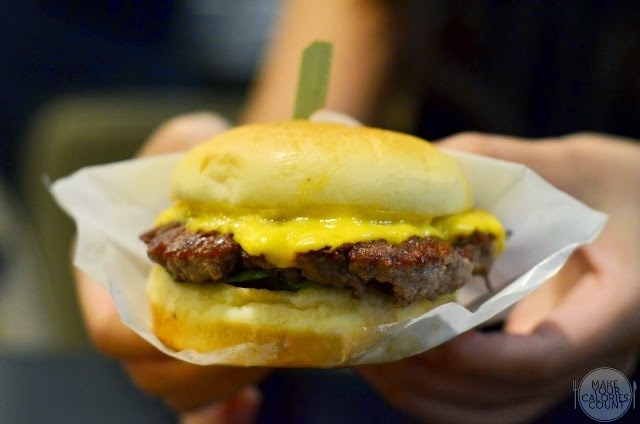 The classic standard burger, it was basically beef patty topped with cheese between the two layers of bun bread. It was recommended to have the patty done medium rare, and we were pretty impressed that it was done right with the slight pinkish centre. Tender and juicy, well complemented with soft fluffy buns that helped differentiate it from the typical factory-made bread. 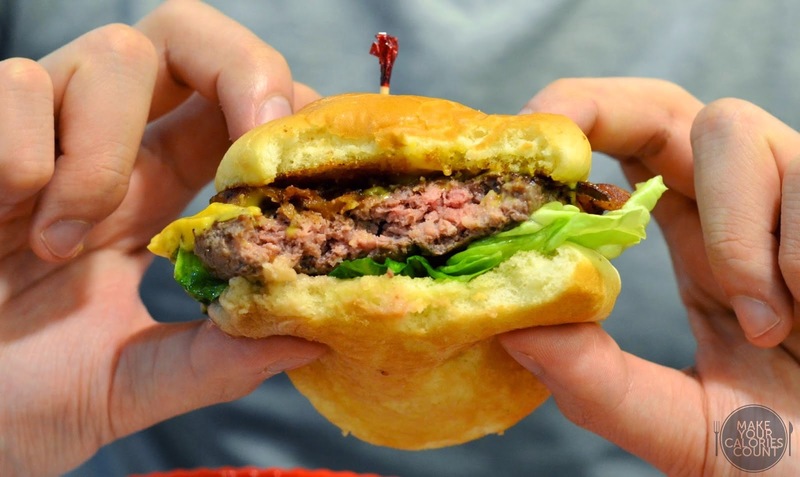 While the patty was done just right for our liking, it was a tad too oily and the juices seeped through the bun, making the pocket holder drenched before we'd even started, and the base of the bun turned soggy from the overflowing juices. Slow-smoked over applewood chips for that added flavour, it wasn't much of a difference from the usual smoked bacon. While the salinity of the bacon helped lift the flavour of the burger, eating this was a huge mess. Likewise, it was all too oily and soggy for us to stomach. On a more positive note, it was also cooked beautifully to medium rare, retaining the lovely pinkness in the middle and locking in the juices of the patty. 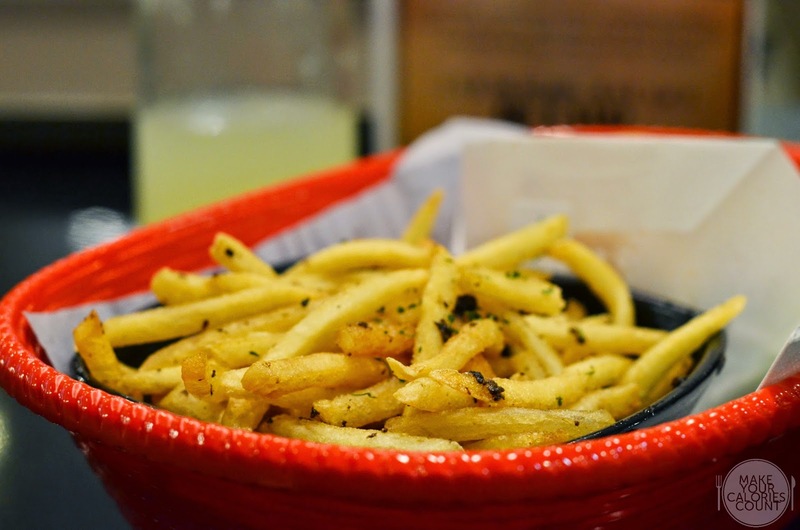 Fries in beef fats, that sounds way too sinful! But given that it's available only during weekends, we were definitely choosing this over normal fries. Crispier and more fragrant than the usual, this was an addictive one to order! While we still preferred the one at SPR.MKT, this was quite a decent one. Just a tad too oily for us, pair it with their truffle mayo dip (add on S$1) for the truffle fans! If you are looking to quench your thirst and cleanse your palate after the sinful indulgence, be sure to order their homemade lemonade which is prepared fresh in-store daily with a blend of lemons, limes and secret ingredients. A refreshing burst of flavours that would perk you up but it does not come cheap. 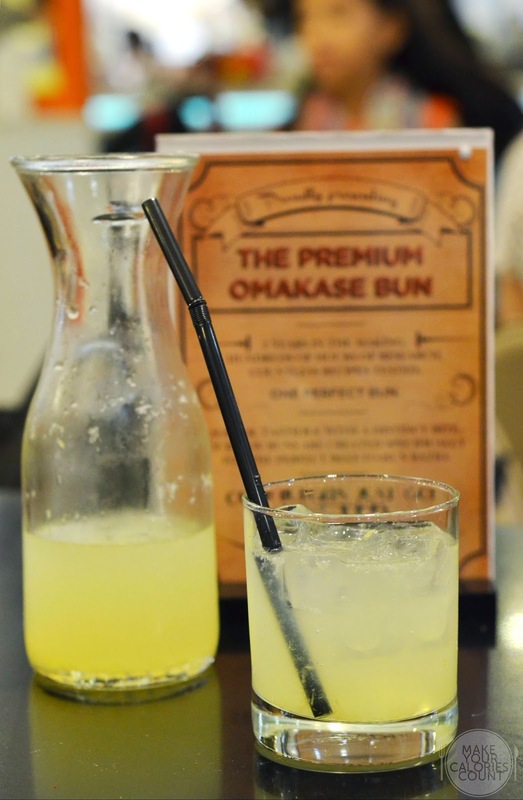 Omakase, primarily refers to allowing the chef to take charge. For us, this seemed pretty much the same as a usual burger joint, placing orders for burgers that are already set in the menu. 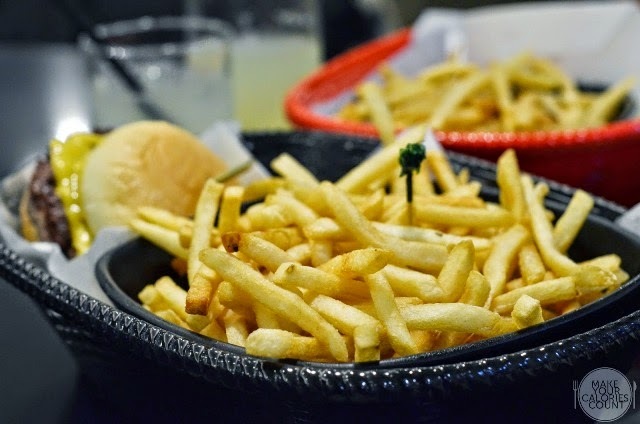 There is not much ambience to speak of since it is presented as a casual, fast-food dining sort of concept though on the plus point, you would not be pressured to give up your seats once you are done with your meal. 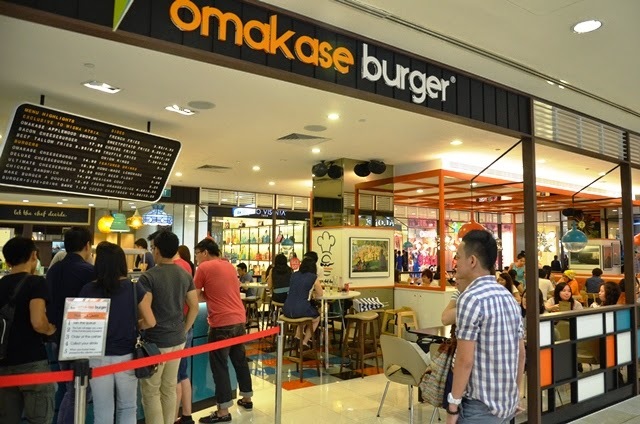 While many claim that Omakase has one of the best burgers in town, we found it to be overpriced for the small portion of burgers, though credit has to be given to their quality patties. The meal felt too greasy for our liking though and it's hard not to compare them with Triple O's nearby. Overrated? A resounding yes in our opinion. Looks like you didn't enjoy the burgers as well. What's the best in your opinion then? thanks for dropping by! there are a few reasons why we did not enjoy the burgers, namely the soggy buns and the hard-to-justify price tag for such a small portion. the patty however was made of premium choice of mince with the right amount of fat in it. it would be difficult to say what is "the best" burger out there given the wide range of offerings available but we enjoyed our burger meals at &made and two blur guys as they executed the cooking well. for fast food burgers, we would also recommend triple-o. 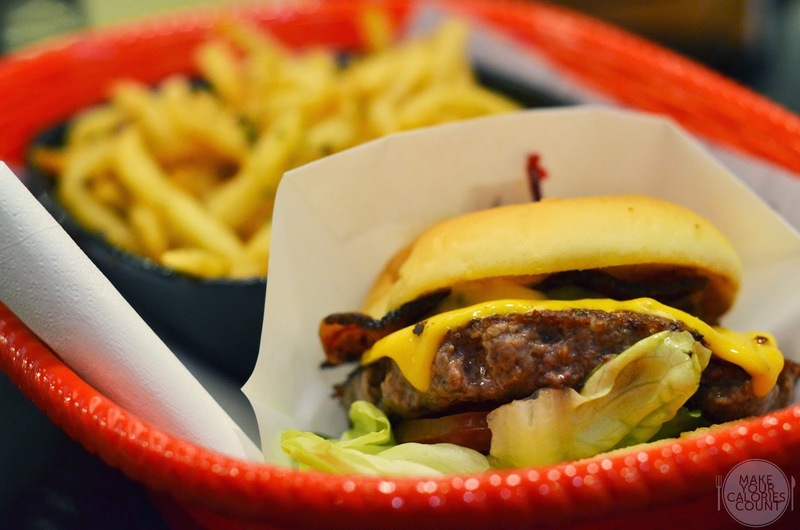 please feel free to share with us any other good burgers in your opinion?